The hotel is very good one, it has so many features that other 5 stars hotels lack for example they have free food in the kids club also they serve dates and arabic coffee most of the time in the lobby, more over the room is clean and beds are comfortable. Its nice place, clean and the staff and personnel are virtuous specially Mr Jessie Bas we salute that for being humble and gentlemen. It’s an amazing location and have beautiful beach restaurant. 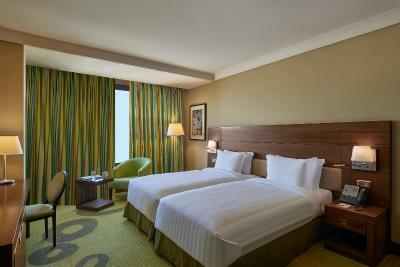 Safir Fintas Hotel Kuwait This rating is a reflection of how the property compares to the industry standard when it comes to price, facilities and services available. It's based on a self-evaluation by the property. Use this rating to help choose your stay! 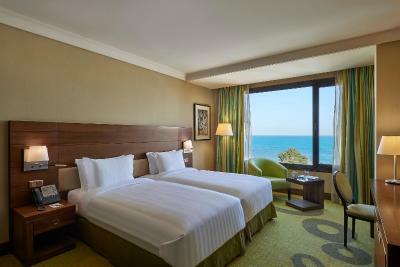 One of our top picks in Kuwait.Overlooking the Arabian Gulf, the 5-star Safir Hotel & Residences offers several restaurants and a fitness center. 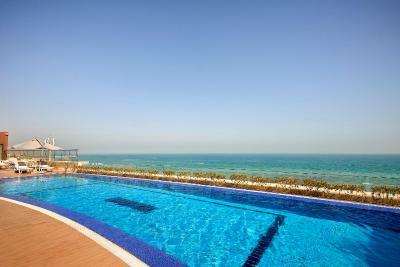 its located close to Fahaheel and Kuwait City. Guests can access free Wi-Fi. 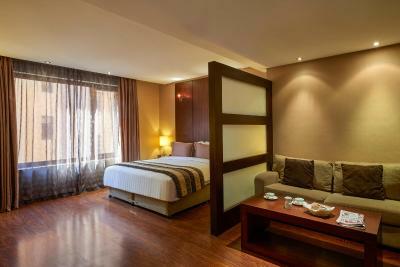 The richly decorated rooms feature interactive plasma TVs and fully-stocked mini-bars. 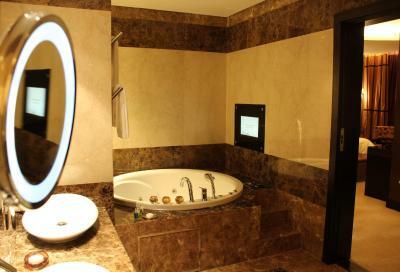 All bathrooms are fitted with bathtubs and handheld bidet sprays. 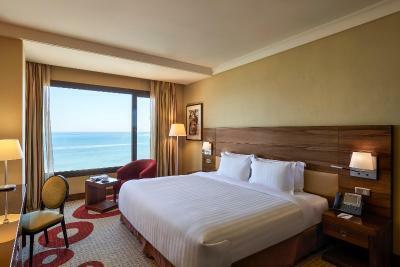 Guests can also enjoy the breeze at the hotel beach & at the rooftop pool with its panoramic view of the the Arabian Gulf or the colorful skyline Fintas. 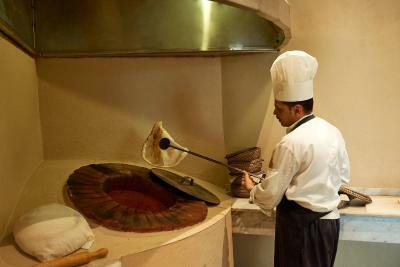 Safir Hotel & Residences – Kuwait has 3 restaurants with creative menus and stylish décor. 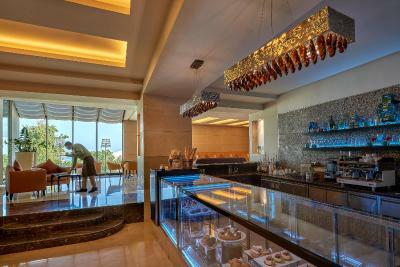 The Lounge offers a wide range of teas, coffees and beverages. A 24-hour in-room dining service is available. Kuwait International Airport is 15 minutes’ drive away, while the city center can be reached within 20 minutes by car. 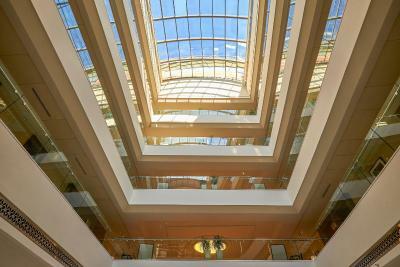 The hotel is also well-positioned for Kuwait’s oil and gas business district. This property is also rated for the best value in Kuwait! Guests are getting more for their money when compared to other properties in this city. 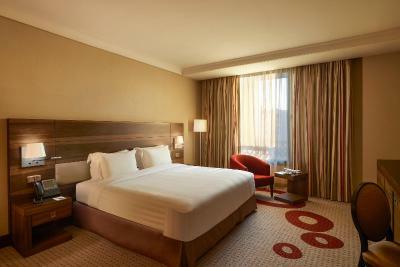 When would you like to stay at Safir Fintas Hotel Kuwait? 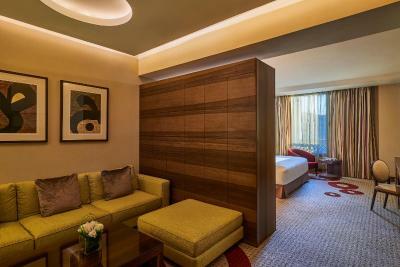 Featuring a city view, this air-conditioned room offers a flat-screen TV, a mini-bar and an electric kettle. 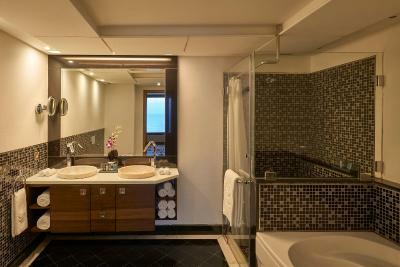 The bathroom is fitted with a shower, handheld bidet spray and complimentary toiletries. 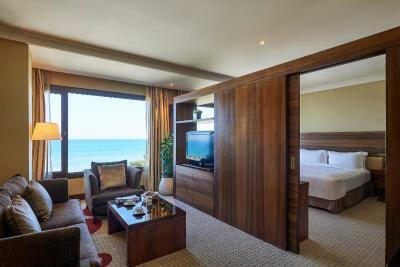 Over looking the sea and beach garden, the spacious room offer a full complimentary usage of mini bar items per stay, Late check out until 1800 hrs (subject to availability), 2 pieces of laundry per stay. In room tea and coffee making facilities. 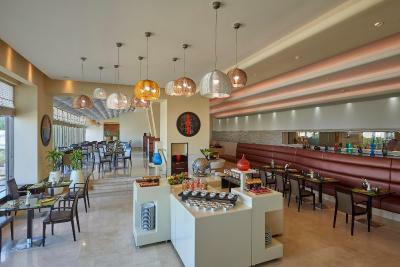 Enjoy elaborated breakfast buffet and a choice of lunch or dinner at Flavors international restaurant. Special amenities upon arrival. 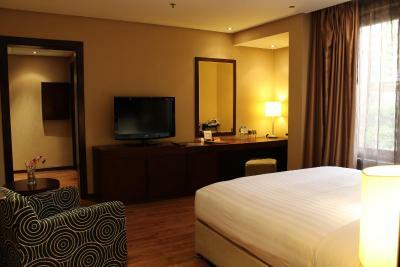 20% discount on Selected outlets in the hotel. Complimentary internet and 25% discount on Business center usage. Includes a living room, hot tub, walk-in wardrobe and city view. 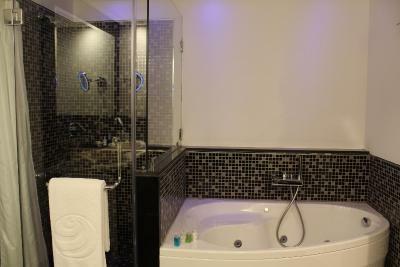 The bathroom is fitted with a shower, handheld bidet spray and complimentary toiletries. Over looking the sea or city, the spacious suite with hot tub, offers breakfast, complimentary usage of mini fridge refreshments, Late check out until 1800 hrs (subject to availability), 2 pieces of laundry. Enjoy elaborated Buffet dinner or Lunch at Flavors international Restaurant. 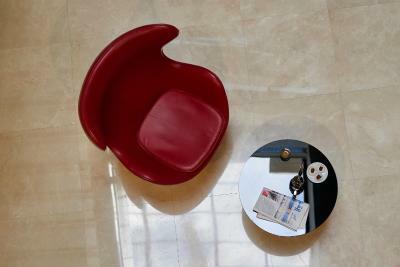 Special amenities served during the stay. 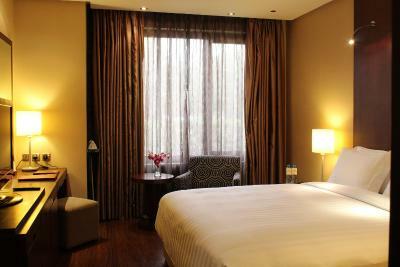 20% discount on Selected outlets in the hotel. Complimentary internet and 25% discount on Business center usage. 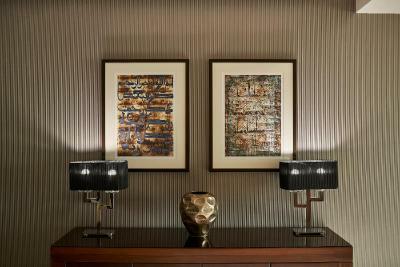 Featuring a city view, this apartment contains a separate spacious living, dining room and fully equipped kitchenette. 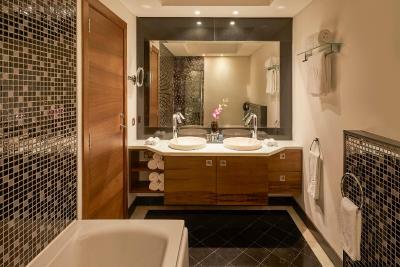 The bathroom is fitted with a shower, handheld bidet spray and complimentary toiletries. Featuring a sea and a garden view, this air-conditioned apartment offers a separate spacious living, dining room and a fully equipped kitchenette. It accommodates two up to four adults with two kids comfortably. 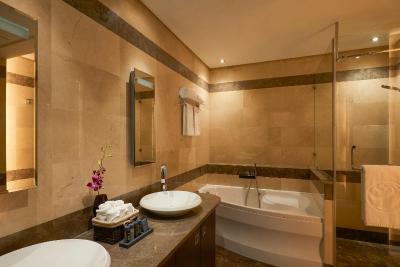 The bathroom is fitted with a shower, handheld bidet spray and complimentary toiletries. 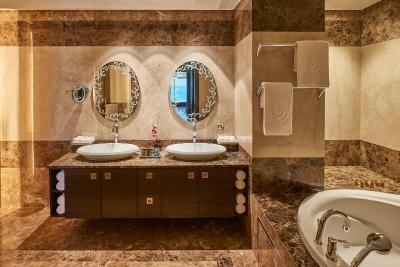 Offering views of the fountain, this studio features a mini-bar, CD player and bathrobe. There is a living room and a fully equipped kitchenette. 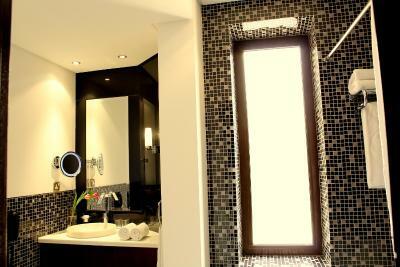 The bathroom is fitted with a shower, handheld bidet spray and complimentary toiletries. Two spacious deluxe room with interconnecting is ideal for families travel, consist of One Double bed and and two twin beds with separate spacious Bath rooms fitted with shower and bidet spray. 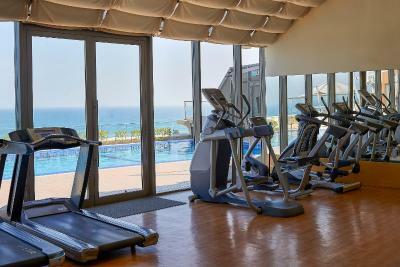 Enjoy Complimentary Buffet Breakfast, unlimited internet access, free access to the beautiful beach and Health club. 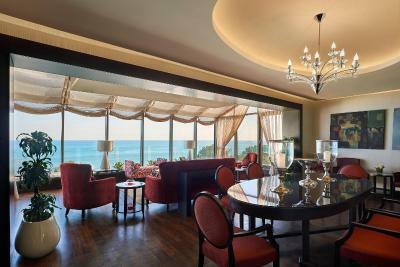 With a space of 85 sqm, Safir Suite offers a memorable experience that lasts a lifetime, entering to a wide sky light living area which offers a wide panoramic breathtaking view overlooking the Arabian Gulf. 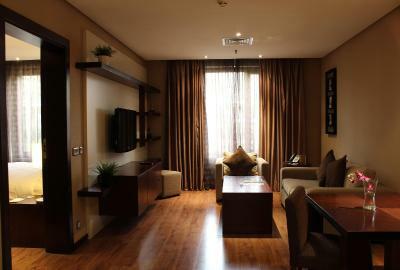 The living room`s lavish comfortable seating with LCD TV, in addition to a fully equipped kitchenette and a guest toilet. A royal bedroom with a king size bed, fully interactive multi channel LCD TV, spacious walk in closet, marble bathroom with a Jacuzzi ,TV screen and a walk in shower with a rain head & massage jets. Room offer a full complimentary usage of mini bar items per stay, Late check out until 1800 hrs (subject to availability), 2 pieces of laundry per stay. In room tea and coffee making facilities. 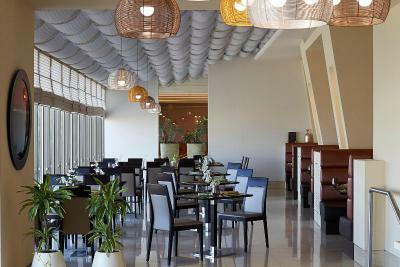 Enjoy elaborated breakfast buffet and a choice of lunch or dinner at Flavors international restaurant. Special amenities upon arrival. 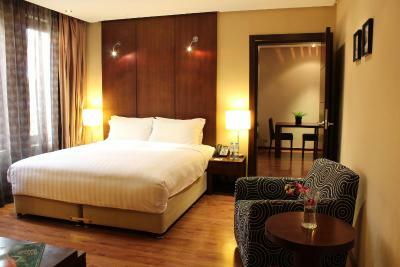 20% discount on Selected outlets in the hotel. Complimentary internet and 25% discount on Business center usage. 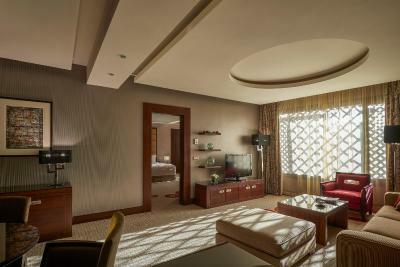 With a space of 100 sqm, the Diplomatic Suite suits all needs. Spacious living room furnished with comfortable set of sofas, a dining area, a designated desk for a working space, fully equipped kitchenette, two fully interactive multi channel LCD TVs and a guest toilet. The bedroom has a supremely comfortable and lavish king size bed, a writing desk, spacious walk in closet and a marble bathroom with a Jacuzzi and a walk in rain shower. 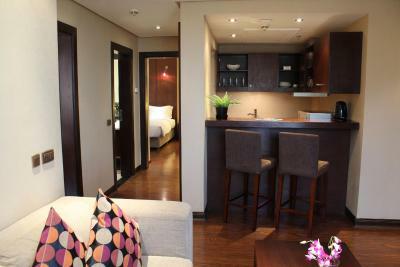 With a space of 55 sqm, the executive suite has a large living room furnished with comfortable sofas and a relaxing bedroom with a king size bed. 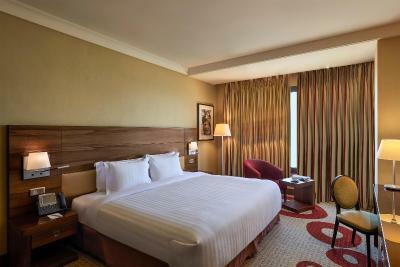 Equipped with fully interactive multi channel LCD TV, the Executive Suites are either overlooking the Arabian Gulf or the heavenly skyline of Fintas. 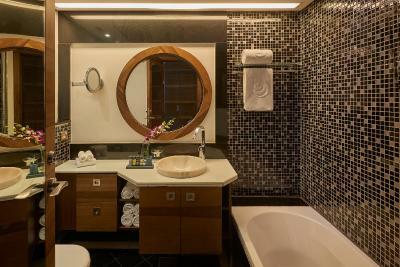 Executive Suites are endowed with ceramic bathrooms and a relaxing Jacuzzi for an additional touch of luxury. 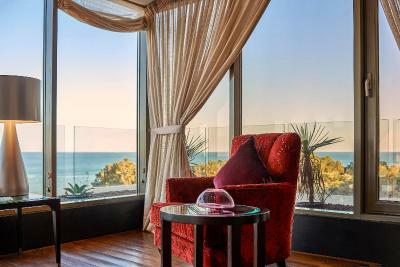 Featuring a sea view, this air-conditioned room offers a flat-screen TV, a mini-bar and an electric kettle. 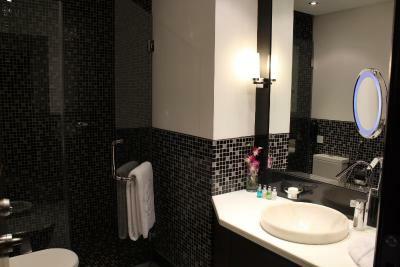 The bathroom is fitted with a shower, handheld bidet spray and complimentary toiletries. 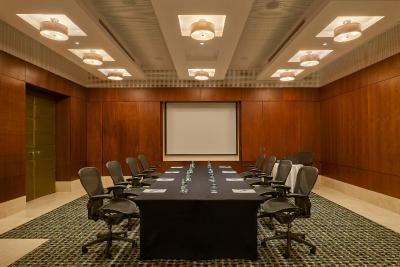 House Rules Safir Fintas Hotel Kuwait takes special requests – add in the next step! Up to two children under 12 years are charged KWD 10 per night when using existing beds. All children under 12 years are charged KWD 10 per night for extra beds. Any additional older children or adults are charged KWD 18 per night for extra beds. Safir Fintas Hotel Kuwait accepts these cards and reserves the right to temporarily hold an amount prior to arrival. Free limousine transfers to and from Kuwait International Airport are available on a request basis from the hotel. Please include your flight details in the special requests box. Please note that Safir Fintas Hotel Kuwait provides a daily complimentary shuttle bus service from the hotel to Gate Mall and Al Bairaq Mall at 18:00 hours and back to the hotel at 22:00 hours. Please note that, as per local law, all couples who are residents and nationals of Kuwait must present a valid marriage certificate upon check-in. Single residents and nationals of Kuwait are not allowed to check-in. A security deposit or pre-authorization on the credit card is taken only for the first night. Full payment of the stay is required upon departure or during the stay. The pool could do with some TLC and an upgrade. The view is great however and being on the roof top. A relax atmosphere with very polite staff. The room was spacious and we had a sea view. The bed was very comfortable and the environment was very quiet. 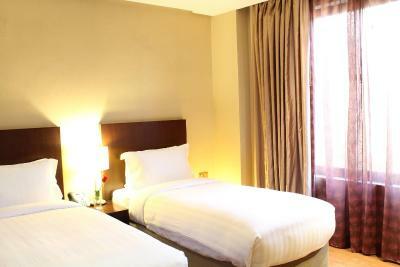 The hotel has many features that can be compared with a 5 Star hotel but at a better value. 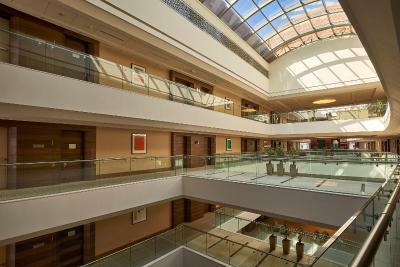 The are offers options to walk around and malls are not far away. The breakfast was fabulous with hard working staff. The room allocation was not ideal, and should been thought about by the check in staff, the hotels exterior is in a very bad state of repair and looks tired. 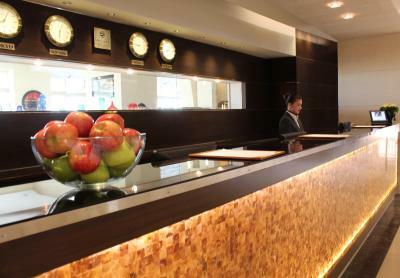 The hotel has an upto date modern interior. The rooms are ok, however considering that the hotel was virually empty during my stay, consideration should be given to give a guest a room with natural light not a room with a window opening onto an internal atrium. Breakfast and staff were excellent, cleanliness 4/5 + the place seemed old but good overall. The Location of the hotel is too far from the city center.